"Dear fellas, I can't believe how fast things move on the outside. I saw an automobile once when I was a kid, but now they're everywhere. The world went and got itself in a big damn hurry." As far back as I can remember, I have always enjoyed eating in restaurants in department stores. Spots like these are a dying breed. When I lived in the city of Pittsburgh, there was a diner right around the corner from our house on the South Side. It seemed an obvious choice for breakfast in the morning, but instead I'd get up a little earlier and ride my bike downtown to eat at the Tic-Toc Cafe' in the basement of Kaufmann's. Now living in Manhattan, I literally live right on top of a diner, but I prefer to walk a few blocks over to a department store near me and eat in the restaurant there. Why? Because it's stuck at a specific place in time... and I like that. 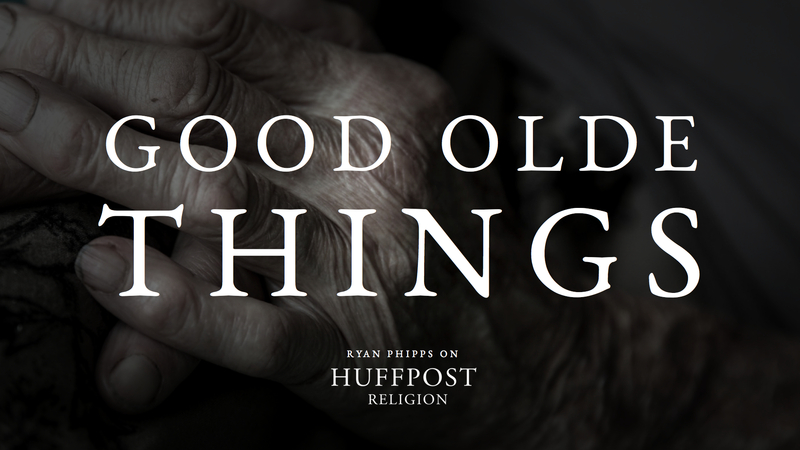 There's a thin residue of "oldness" there. It's in the food, the clientele, the staff, and even the decor. When I'm there, I find it easier to to slow down, relax, and think. I even (which is anathema to this INTJ) engage in smalltalk with the other patrons about the "good old days." I am transported back to a time and place where these kinds of behaviors are encouraged, protected, and even "normal." What a different world we live in today- a world that I am as much a part of as anyone. Maybe I'm alive in the wrong spot in history. Who knows? There's a strange kind of Darwinism ever at work in the world. We see it in greater measure with each passing generation. We want things faster. We want things cheaper, and we don't want anything that asks for too much of our time or attention. Soda fountains gone the way of the dinosaur in favor of canned, flavored soda that can be picked up at any roadside stand. A decades-old piece of handmade furniture placed out on the street with the garbage, replaced by one made out of particle board and nylon, crafted on an assembly line in a matter of minutes. The home-cooked-meal which we never have time for, so we settle for the microwave dinner- prepped, packaged, and ready in under five minutes! All I know is that I long for more "slow" things in my life- and I don't think I am alone in this. All that is trendy seems to fall out of trend as quickly as it rose. Timelines are collapsing quicker than they ever have before in history. "What good is it for someone to gain the whole world but lose their soul?" He's not talking about the afterlife. He's talking about quality of life, right now. He's admonishing us to slow down and cherish this. I also know that by striving for it, I won't get everything that I want when I want it. And there is great tension in this.